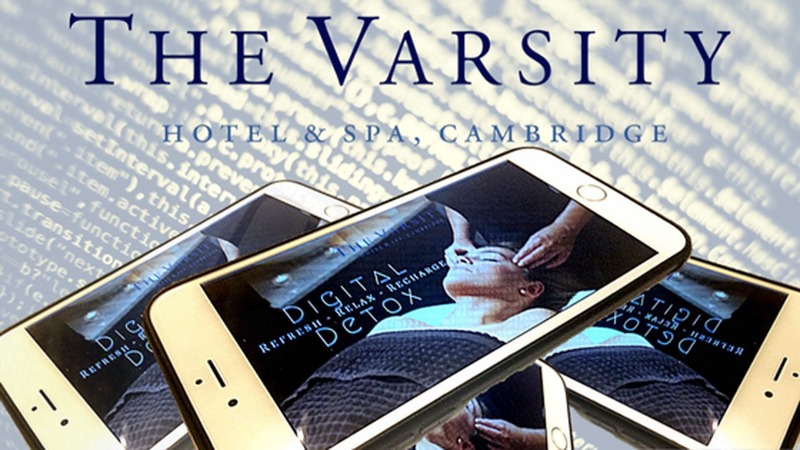 With most turning their focus to health and improving their sense of wellbeing over January, we will be launching our first Digital Detox Retreat, on the 13th January 2017. Designed for guests who want to disconnect from the digital world, and focus on centering their mind and body, we have created a bespoke weekend package. This will include mindfulness activities, such as yoga in the hotel’s Glassworks Health Club, as well as a healthy brunch where guests can indulge in panoramic views of Cambridge. Throughout their weekend stay, guests will also be encouraged to switch off from the online world for 24 hours. Upon arrival, guests will have the option to put all of their tech devices away in personal in-room safes, creating a space which is free from technological distraction, before taking part in a reset and rebalance yoga session at The Glassworks Health Club. The class has been curated to help shut off the mind, allowing guests to focus on their intentions for the year ahead. Located immediately next to the hotel, The Glassworks Health Club is housed in a beautiful Eighteenth Century glass warehouse, with high ceilings, original brickwork and timber trussed ceiling, providing the perfect lifestyle escape for busy locals and visitors alike to work-out and wind-down. On Sunday, guests can enjoy a meditative morning stroll through the city, giving them a chance to take in the key sights and unique views of Cambridge. This will be followed by a brunch in SIX, featuring nutritious and wholesome dishes, fresh fruits and juices, such as Six’s Granola, Fruit Compote & Natural Yoghurt, Smoked Salmon & Scrambled Eggs and Eggs Royale, which are rich in antioxidants and omega-3, and are good for boosting brain power. Finally, to end the weekend guests can indulge in a 30-minute detox, relaxation massage, which will ensure that everyone leaves feeling refreshed and revitalised. From checking in to checking out, guests will be encouraged to leave their devices switched off, and locked safely away, promoting a digital free space. The Digital Detox Retreat will be available over the weekend of the 13th January. Priced at £255 for two people, the package includes the option of putting all technology devices away in the in-room safe for the weekend, an overnight stay, a yoga class, a healthy brunch in SIX, a meditative de-stress walk and a 30-minute detox massage.